I wake up each morning (well, more like late in the afternoon, thanks unemployment!) and this is usually what happens: I sit in my bed for what feels like forever, just warm and toasty wrapped in a duvet, playing on my phone for a bit—well—more like a while, seeing as I don’t have to go anywhere. I then make my way out to the kitchen and have a nice breakfast, sometimes accompanied by a cup of coffee depending on how early it is. I go about the rest of the day doing whatever I please, which mainly revolves around trying to find the perfect job. And then, the rest of the day is history. I know I’m not the only young person in this situation. So many people in their twenties, sometimes thirties even, are completely unsure of what they want to do with their lives—myself included. I’m used to hearing certain thoughts creep into my head, such as, “Why am I even here right now? Shouldn’t I have my own apartment, a job, and some sort of really amazing, glamorous life by now?” This especially happens after I see updates from my friends (and former classmates) on Instagram, Facebook, the whole shebang. It’s kind of difficult to say this, maybe a little obvious, but people out there just do things at a different pace than others. So many young people feel the need to start their careers at the same pace as their peers, buy a house at the same time as their peers, get married and have kids at the same time as their peers, all because they believe it’s what you’re supposed to do. Well you know what? Screw it! How about we each do our own things, live our own lives, and just be happy with whatever we’re doing. I know I am, and it feels so liberating! No matter what you see on Facebook, or Instagram, or Snapchat, no matter how many of your friends have important jobs, or partners, or kids, those things don’t take away from what you’re doing with YOUR life whatsoever. We are all unique, interesting, and making our mark on the world in such amazing ways. Some people help others, some people create things for the rest of the world to enjoy, and some people do other amazing work. We just have to accept that some people will enjoy their biggest accomplishments at different times than everyone else. And as for me, I just work at my own pace. Even though I don’t have a full-time job, I know that the best thing for me will come along soon. All I have to do is keep this in the back of my head, mainly during the times I’m hard on myself, and next thing I know, I’m doing okay. FRIENDS, WE CAN'T DO THIS WITHOUT YOUR SUPPORT! In support of Windrose issue 2, we’ve launched a Kickstarter! "On What It Means to Matter: An Interview with Author Hannah Brencher"
And so much more—all real life stories to assure you that you’re not alone as you navigate life in your twenties. Pre-order issue 2 of Windrose Magazine or pledge for another great reward tier! 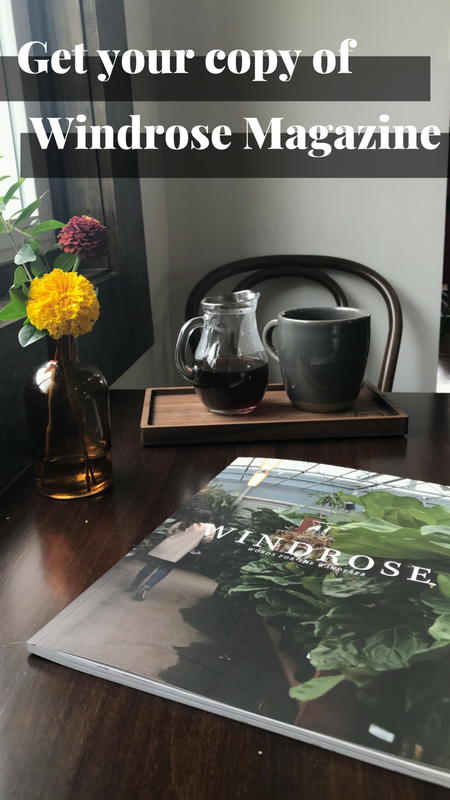 Spread the word about Windrose with your friends/fam and on social media! Abby Prowant is a 2016 graduate of Marist College. She studied communications and public relations, hoping to begin a career in the media industry. She is now working towards finding a career working with children and adults on the Autism spectrum in a non-profit setting. She enjoys helping others and volunteering her time to benefit the world around her. She hopes to someday change how the world views Autism and other disabilities. In her spare time, she also enjoys a wide array of movies and television shows, as well as testing out the newest makeup trends and tricks.